Your face is the most visible part of your body. When aging, sun exposure, genetics, and more cause facial fine lines and volume loss, there’s no way to hide it. However, with facial injectables, you can effectively minimize the appearance of wrinkles and facial volume loss so that you don’t have to worry about hiding anything. Dr. Robert Wald uses facial injectables to smooth wrinkles and fill in thinning areas to restore a more youthful facial appearance. To help you determine which treatment may be right for your needs, here are the basic differences between facial injectables. BOTOX® Cosmetic is a highly popular injectable used to treat frown lines, forehead lines, and crow’s feet. It is a neurotoxin formula derived from botulinum toxin type A, and it blocks nerve signals to slow muscle contractions and reduce the appearance of wrinkles. Results last between three and six months, after which point many patients return for touch-up treatments. 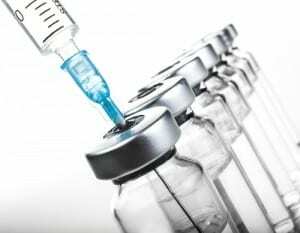 Interestingly enough, BOTOX® is also FDA approved to treat a number of medical conditions such as chronic migraine headaches, cervical dystonia, blepharospasms, and overactive bladder. In contrast with BOTOX® Cosmetic, injectable fillers do not interfere with nerve impulses and muscle contractions. Rather, they simply fill in the areas of the face where volume loss contributes to an aged appearance. They are also FDA approved and can effectively fill in wrinkles around the eyes, smile lines, nasal depressions, loss of jawline definition, loss of cheek volume, and thinning lips. The results of treatment with facial fillers may last longer than the results of treatment with BOTOX® Cosmetic. JUVÉDERM®: This dermal filler made of hyaluronic acid can correct moderate to severe facial wrinkles. JUVÉDERM® can effectively treat smile lines, thin lips, loss of fat in the cheeks, loss of jawline definition, and wrinkles under the eyes. Restylane®: This dermal filler made of hyaluronic acid can also treat facial lines and folds. Restylane® can effectively treat loss of volume in the cheeks, creases around the mouth, and nasolabial folds. RADIESSE®: This injectable is made of calcium hydroxylapatite microspheres and stimulates collagen production to improve skin elasticity. RADIESSE® can also effectively fill in wrinkles and treat smile lines, loss of volume in the cheeks, marionette lines, nasal depressions, and loss of jawline definition. If you feel you are a good candidate for facial rejuvenation with facial injectables, please contact our Orange County practice today. As you meet with Dr. Wald to discuss your desires, he will determine which treatment method is best for you. Call (714) 312-3549 or fill out our online contact form to schedule your personal consultation with board-certified plastic surgeon Dr. Robert Wald. This entry was posted on Wednesday, September 23rd, 2015 at 2:26 pm	and is filed under BOTOX® Cosmetic, Injectable Fillers, Non-Surgical Procedures, Wrinkle Reduction. Every day patients come into my office complaining of wrinkles around their mouth and eyelids. Most of these patients have tried numerous creams and ointments without success and have spent hundreds of dollars for these products. Certainly, these people have bought these products because of good advertisement. Over the years, I have tried a number of techniques to improve these wrinkles. This has included dermabrasion, laser therapy and fillers. While all these modalities work, there are downsides to each of these therapies. With fillers, they are only temporary. With dermabrasion and CO2 lasers, there is prolonged redness and long healing. Recently, I have been working with the Sciton Erbium laser. 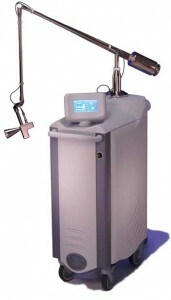 I have found this laser to be extremely effective with minimal redness and fast healing. 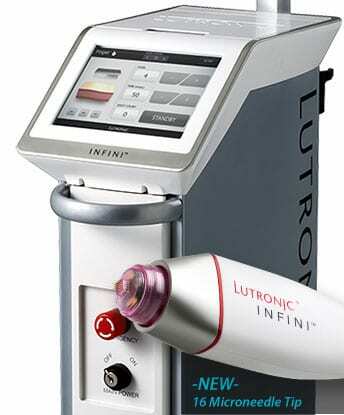 This laser can reverse the effects of sun damage that cause wrinkling, sun spots and tired appearing skin. With this laser, physicians can control the ablation and coagulation depth for either light or deep peels and restore a healthy look to the skin. There are 2 approaches to resurfacing: Full field and fractional. In full field resurfacing, the entire surface areas of the skin is treated. A laser beam is scanned over the treated area and precisely removes a layer of skin. The body will eventually replace the old, damaged skin that was removed, with a fresh, healthy layer. Treatments can range from shallow to deep depending on the patients extent of wrinkling and texture problems. In fractional resurfacing, the laser removes pinpoint columns of skin, leaving the surrounding tissue intact. 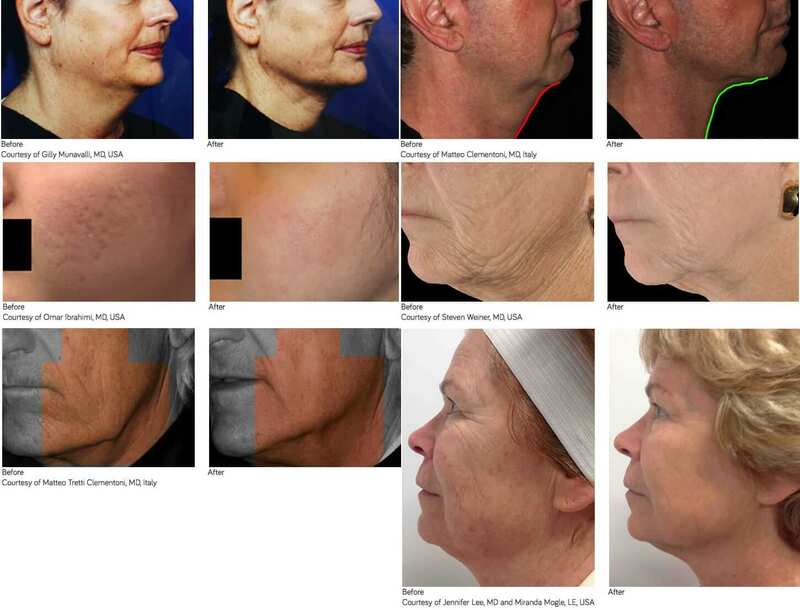 This approach allows the laser to penetrate very deeply for effective collagen remodeling, while the surrounding and intact tissue promotes rapid healing. By combining these two modalities, the results in my patients are greatly improved. Depending on the patients desires, 1 day or a week of redness is involved to achieve the desired results. Please contact our office with any questions or concerns, or to schedule a complimentary consultation, 714-738-4282. This entry was posted on Thursday, June 7th, 2012 at 10:41 pm	and is filed under Facelifts, Skin Care, Wrinkle Reduction. Do facial fillers make you look young again? As a plastic surgeon, I have a larger number of options to enhance a patients appearance and make them look younger. These options include surgery and non surgical procedures. Today, a lot of my patients request Fillers, Botox and Laser Therapy to minimize any down time from a surgical procedure. Although these minimally invasive techniques work well, they are not long lasting and require further treatments, and can be quite costly over time. A patient recently told me that she would have paid for a facelift following 2 years of maintenance therapy. From a cost basis, she felt that a much longer lasting procedure would have been more economical. I thought this was an interesting perspective and something every patient should consider. This entry was posted on Saturday, July 28th, 2012 at 3:48 pm	and is filed under Wrinkle Reduction. When a woman does not want to undergo surgery, fillers (Restylane, Juvaderm, fat) and Botox in combination can produce a youthful improvement to the face. Fillers can be used to add volume to the periorbital area, temporal area, nasolabial folds, and jawline. Botox is used to remove the wrinkles in the forehead, upper nose and eyelid By combining these products at one time, a distinctive improvement in facial appearance occurs. A patient must realize these effects are not permanent and re-injections will be required every six to twelve months depending on the product used. This entry was posted on Saturday, November 3rd, 2012 at 7:22 pm	and is filed under BOTOX® Cosmetic, Facelifts, Wrinkle Reduction.